best sources of our sturgeon farm partners. Choose from six caviars that range from Supreme to Classic and vary in both pearl size and flavor. Regiis Ova caviars are only sourced directly from the finest farms that meet our unparalleled standards. Select from four different types of roes all developed to exacting standards. 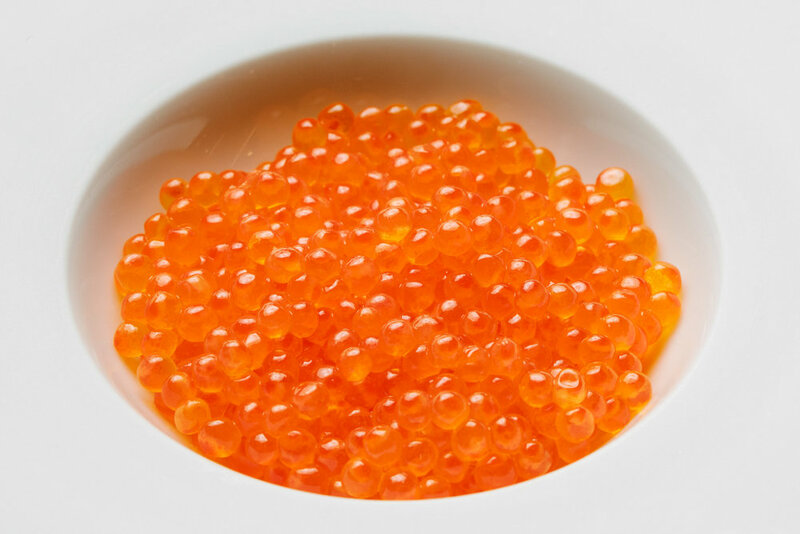 Regiis Ova offers salmon, trout and two flavors of whitefish roe; golden and truffle. Regiis Ova’s buckwheat blini mix makes nutritious mini pancakes that are perfect to serve with smoked salmon or caviar. This delicious mix is made with a blend of Cup4Cup flour developed by chefs at Thomas Keller’s acclaimed restaurant, The French Laundry, and organically grown whole buckwheat that is sourced directly from local and sustainable suppliers.